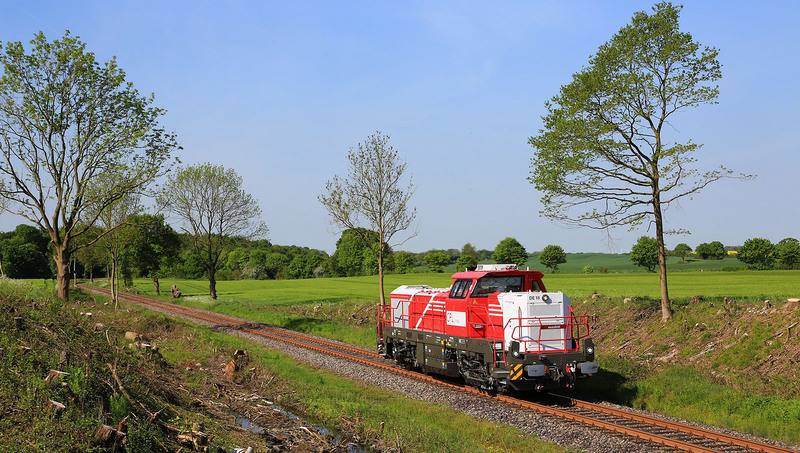 This morning, a new Vossloh DE 18 locomotive completed its maiden run. It is painted red and light grey and sports the logos of CFL Cargo. 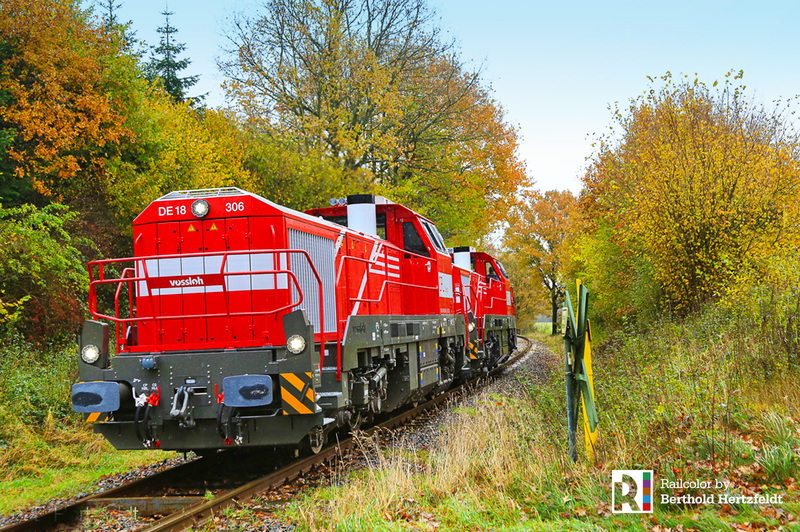 In December 2015, the freight operator from Luxembourg signed a contract with Vossloh for leasing eleven new DE18 diesel locomotives. Delivery is about to start. We thank Berthold Hertzfeldt for the scenic images. 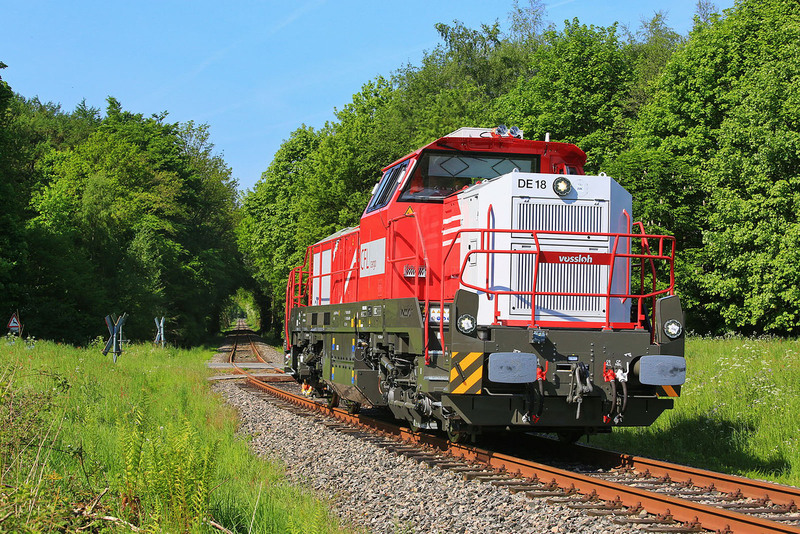 The new DE18s will replace various Vossloh G1206 type locomotives, currently on hire from various leasing companies. 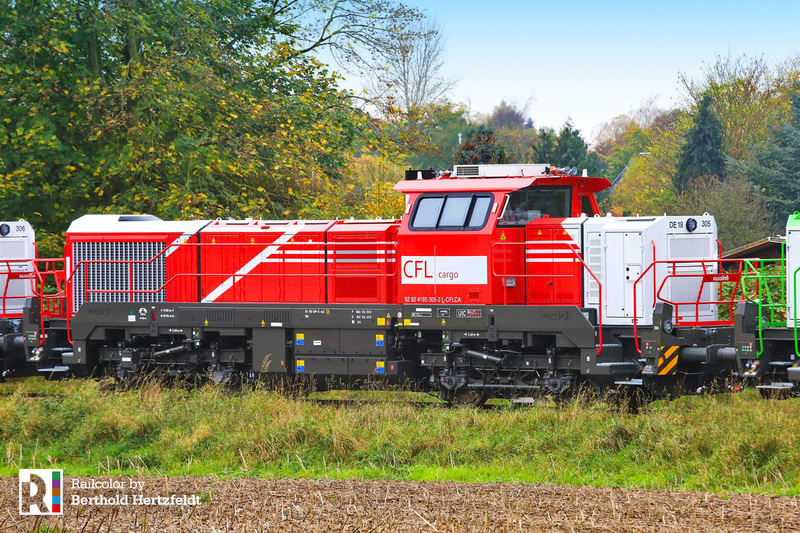 CFL Cargo intends to use the DE18s for domestic and cross-border services from Luxembourg to France, Belgium and Germany. 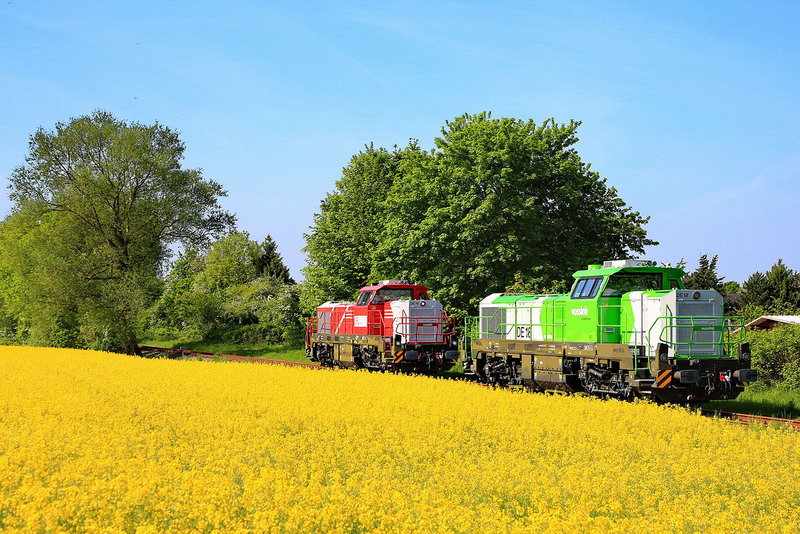 Recently Vossloh switched its main production line from G6 to the DE18 model. Next to CFL Cargo, also a large bacth of these machines will be delivered soon to lease company Akiem. 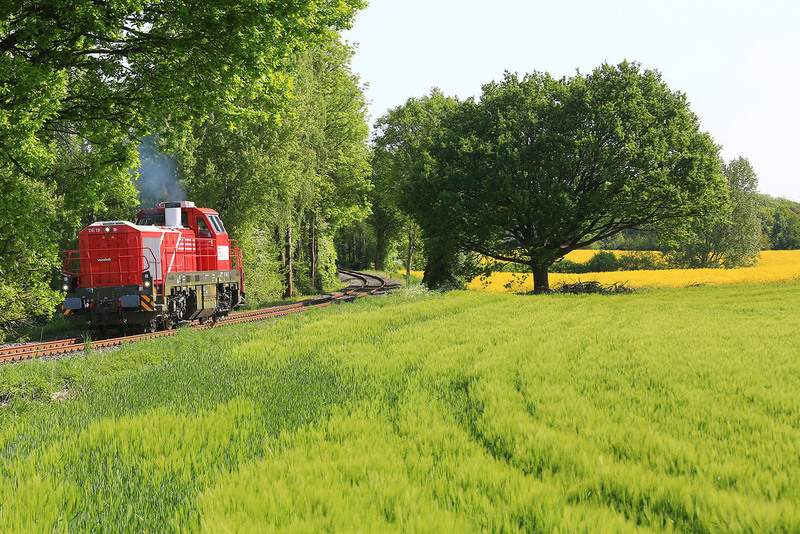 De DE18 is a diesel-electric midcab locomotive for mainline and heavy shunting duties. It has a top speed of 120 km/h and around 1.8 MW power output. 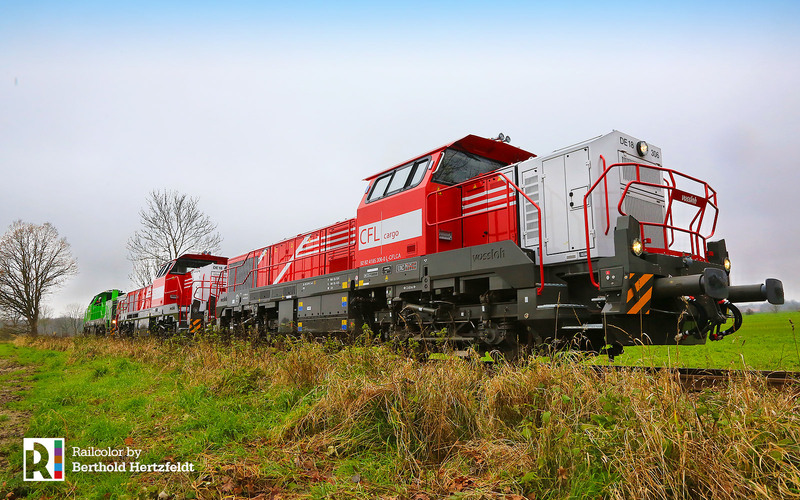 Update 01.11.2017: Last week, two more locomotives made an appearance at Kiel. 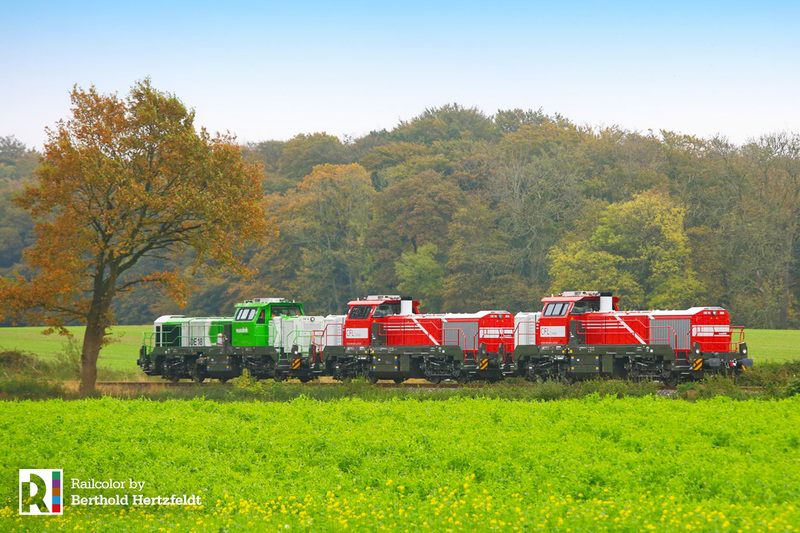 This time we saw 92 82 4185 304 and 306 together with DE18 in Vossloh’s corporate colours.